1. Ensure you can locate primary visual cortex on an anatomical map. 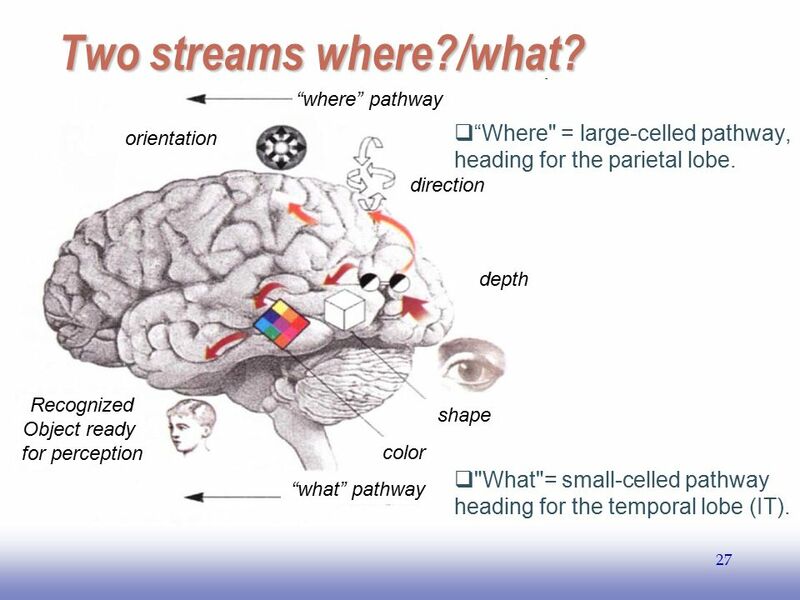 Briefly summarize sum of the key visual processing the occurs within the primary visual cortex. Ensure you understand Figure 27-3 and Figure 27-4. 2. Examine Figure 27-6. What does this tell you about low level visual processing in the primary visual cortex? 3. Examine FIgure 27-7 and Figure 27-8. What is disparity and how does it help with visual processing? 4. Examine Figures 27-1 and 27-11. What is a receptive field and what do these figures add to your understanding of "receptive fields".